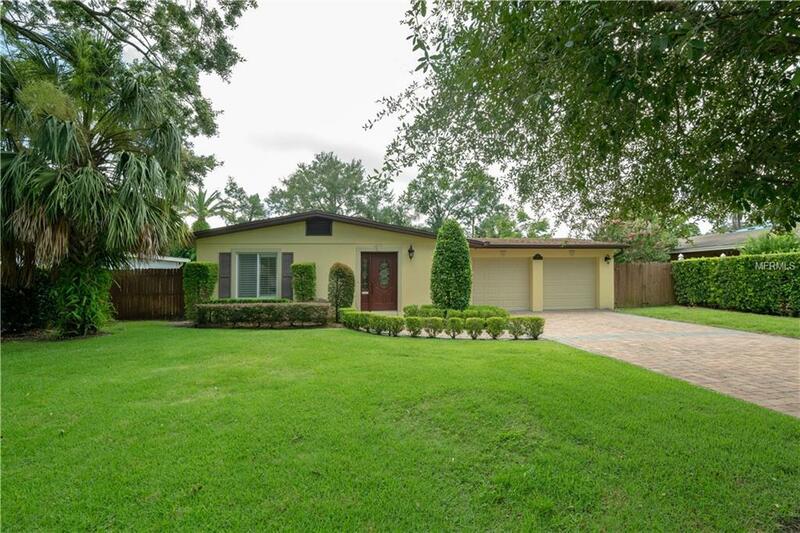 Lovely 3 bedroom 2 bath home in a wonderful Winter Park neighborhood. Home is move in ready! The inviting kitchen has stainless steel appliances, granite counter-tops, and newer cabinets with abundant storage. There is a combination living/dining room off the kitchen as well as a large family room which will provide plenty of space for entertaining. There is an inviting master bath with dual vanities, shower and separate tub. In addition to the large walk-in closet for the master bedroom, the home has an additional walk-in closet for more storage. This storage area would also make a nice home office since there are French doors in the room leading to the backyard which provides nice natural light. A two car garage provides space for cars, bikes, etc. The large fenced backyard is perfect for a dog or relaxation with friends and family. The home is located in close proximity to shopping, parks, and excellent Winter Park schools.